Can anyone say "set up"? I knew you could. 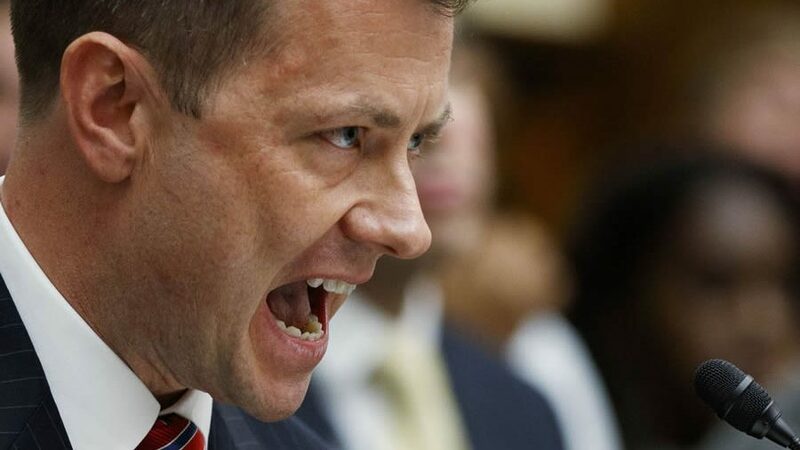 FBI Deputy Assistant Director Peter Strzok testifies before the House Committees on the Judiciary and Oversight and Government Reform during a hearing on "Oversight of FBI and DOJ Actions Surrounding the 2016 Election," on Capitol Hill, Thursday, July 12, 2018, in Washington. “George thought the agents wanted to ask him about Russian businessman Sergei Millian. Wanting clarification, he asked the agents, ‘… just so I understand, I’m going there to answer questions about this person who I think you’re talking about,’” Papadopoulos’s lawyers wrote in an Aug. 31 court filing. “The agents asked how they first met, what they discussed, how often they talked or met in person, if George knew whether Mr. Millian was connected to Russia or a foreign intelligence service, and who else on Mr. Trump’s campaign may have been in contact with Mr. Millian. George answered their questions honestly,” the filing states. The lawyers asserted that one of the agents who interviewed Papadopoulos confirmed that the questions about Millian were “just a rule” to “get [Papadopoulos] in a room.